A man has been charged with criminal damage after mud was allegedly hurled at an ambulance while a patient was being treated inside. Daniel Drennan-Kane, 21, was arrested after West Midlands Ambulance Service issued CCTV on social media of a man they said had attacked the vehicle. 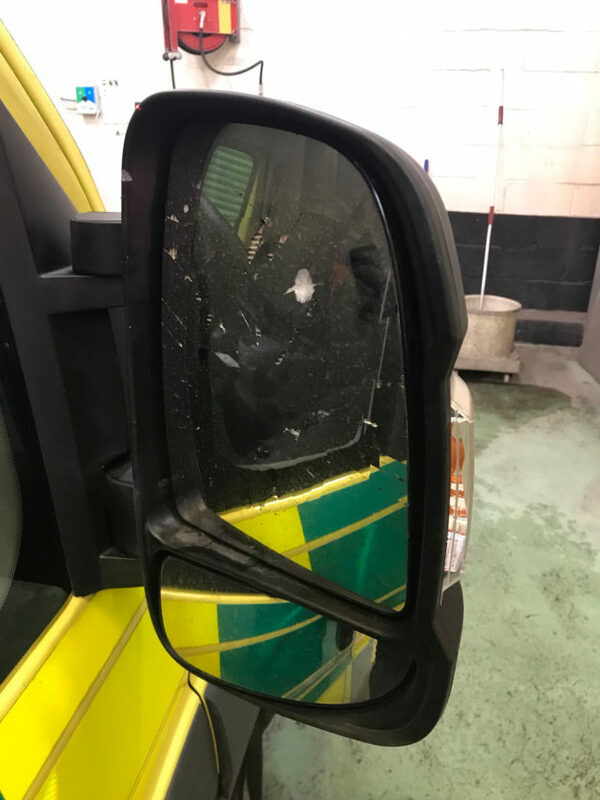 The ambulance's front offside wing mirror was damaged in the incident at 1.06am on April 30 in the Woodside area of Telford in what the Ambulance Service described as an "unprovoked attack". Drennan-Kane, of Wantage, Telford, has now been charged with causing criminal damage to a motor vehicle. He will appear before court magistrates on a date to be confirmed, West Mercia Police said.